Sky Digital: Sky SciFi / Horror (United Kingdom) broadcasts in DVB-S VideoGuard on 11934.00MHz, pol.V SR:27500 FEC:5/6 SID:4304 PID:512/680 nar,640 English. Sky Digital: Sky SciFi / Horror has left 11934.00MHz, pol.V (DVB-S SID:4304 PID:512/680 nar,640 English), it is no longer transmitted by satellite in Europe. Sky Digital: Sky SciFi / Horror has left 11934.00MHz, pol.V (DVB-S SID:4304 PID:512/660 English,680 nar,640 English), it is no longer transmitted by satellite in Europe. Sky Digital: New frequency for Sky SciFi / Horror: 11934.00MHz, pol.V (DVB-S SR:27500 FEC:5/6 SID:4304 PID:512/660 English,680 nar,640 English- VideoGuard). Sky Digital: Sky SciFi / Horror has left 11836.00MHz, pol.H (DVB-S SID:4304 PID:512/640 English,660 English,680 English), it is no longer transmitted by satellite in Europe. Sky Digital: New FEC for Sky SciFi / Horror on 11836.00MHz, pol.H: FEC:5/6 ( SR:27500 SID:4304 PID:512/640 English,660 English,680 English - VideoGuard). 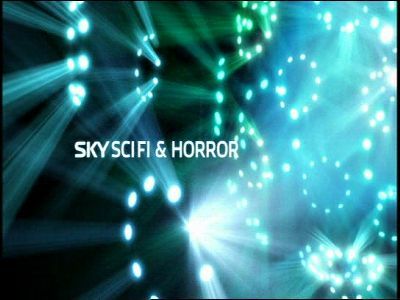 Sky Digital: Sky SciFi / Horror (United Kingdom) broadcasts in DVB-S VideoGuard on 11836.00MHz, pol.H SR:27500 FEC:2/3 SID:4304 PID:512/640 English,660 English,680 English. Sky Digital: A new channel has started in DVB-S VideoGuard: Sky SciFi / Horror (United Kingdom) on 11836.00MHz, pol.H SR:27500 FEC:2/3 SID:4304 PID:512/640 English,660 English,680 nar.